Lifting our last remaining restrictions on privatisation. Secret corporate courts. You can see why Greens have always characterised deals like TTIP and CETA as less of a ‘trade treaty’ and more of a corporate power grab. The irony that I am writing this post for Open Democracy is not lost on me. Trade treaties in general, and CETA - the Comprehensive Economic and Trade Agreement - in particular are a classic case of decisions being made behind closed doors and with information being withheld even from elected members of Parliament. The election of Trump and the UK vote to leave the EU has blown a massive whole in conventional trade policy. But what an irony faces those on the Left who voted to leave the EU because of TTIP and now find they are fast-tracked into a very similar treaty kindly offered by Trump, even as TTIP dies! For a more detailed glimpse into what the future of the UK’s trading relations (and the style of their negotiation) could look like, check out the nearly finalised CETA (the EU/Canadian ‘trade’ deal). 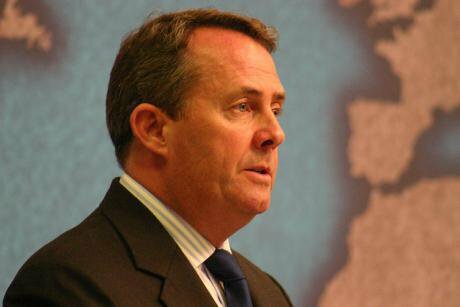 Liam Fox has quietly decided, without proper parliamentary scrutiny or any debate in parliament, that this deal will apply to us regardless of Brexit. Fox did manage to apologise to a disgruntled parliamentary committee for the ‘scrutiny override’, claiming he had been befuddled by the ‘jobs, investment and prosperity’ the Treaty would (not) create. So much for taking back control. Instead we’ve been quietly and undemocratically saddled with a deal which jeopardises many of our hard-won protections – health, environmental, workers rights – not to mention our public services. Perhaps most damagingly, CETA includes a proposal for an Investment Court System - a minor revision of the proposal for private, corporate courts that were the downfall of the TTIP treaty. It is clear that the arbitration courts for investors are not only undemocratic, they are also incompatible with European standards for a fair justice system. We need to end this special treatment for multinational companies, and the parliamentary scrutiny and vote on CETA should give us the chance to do this. There is no surprise that negotiators do not want politicians or those they serve to know what is going on, because the agreements they are reaching blatantly advance the interests of the corporations who have been so busy lobbying for them. So where’s the political fight-back? The Green Group has been at the forefront of battling CETA and we are still the leading opponents now it has reached the stage of being ratified – or not – by the European Parliament. This process began on 21 November and in an extreme acceleration of the normal process it was proposed that we vote on it in December! As part of the same stitch-up we are being deprived of a debate and a resolution and will only have a chance to vote Yes or No. Meanwhile consultation with national parliaments has been reduced to a single lunch meeting with one representative from each country’s parliament. Hardly the rigorous scrutiny we might expect for a treaty with such far-reaching consequences. The Greens managed to ensure that a number of committees could give written opinions on CETA, so MEPs had the chance to explore some of its content fully before we are asked to vote. Back in December, the employment committee voted to reject CETA because of the threat it poses to employment rights. Earlier this month the opinion in the environment committee saw the socialists split down the middle, with many ignoring Green concerns about threats that EU law on chemicals, pesticides, animal welfare, food safety and climate protection may all be watered down. The agriculture committee may not even give a view, despite the treaty having deeply troubling implications for Europe’s farmers. CETA includes the dropping of tariffs on 97% of products, including on most agricultural products, so as MEP for the South West England this concerns me greatly. The likelihood is that we will see our markets flooded with poor-quality North American food, stuffed with hormones and modified genes, from mega-farms that destroy environments, family farms and rural communities. As Greens we have been battering CETA for years but it limps along. To deal the killer blow we would need the whole-hearted support of the socialists in the Parliament. Sadly, they have been ambivalent at best. With so much heat on this issue at home, most Labour MEPs are now voting against committee opinions on CETA - but they are not bringing their European socialist colleagues with them. The European Parliament is now the last chance of blocking this damaging assault on democratic power. But without solid opposition from the socialists in the Parliament it is likely that CETA will be passed in February. As the vote in the Environment Committee showed, they are now divided. We need Jeremy Corbyn to keep true to his rhetorical opposition to CETA and to instruct his MEPs to vote it down. And please do what you can by making a noise about CETA and by letting your MEPs know that you want them to vote against the ratification of this damaging and anti-democratic treaty.